Winter gets on my last good nerve . . . and it was eternal in Virginia this year. But (knock on wood), we’re warming up around here — it was 80 degrees outside yesterday. And that, my friends, is Rosé weather. Carpe Vinum was all about Rosé this month. But before I decided on a Rosé and a food pairing, I wanted a little Rosé Review. A little research usually sends me down the right food & wine path. Rosé is a pink-hued wine made from red wine grapes — it gets its color from the grape skins. Rosé comes in a rainbow of colors from pale salmon to fuchsia. Rosé is made almost everywhere, but France is the world’s leading Rosé producer. 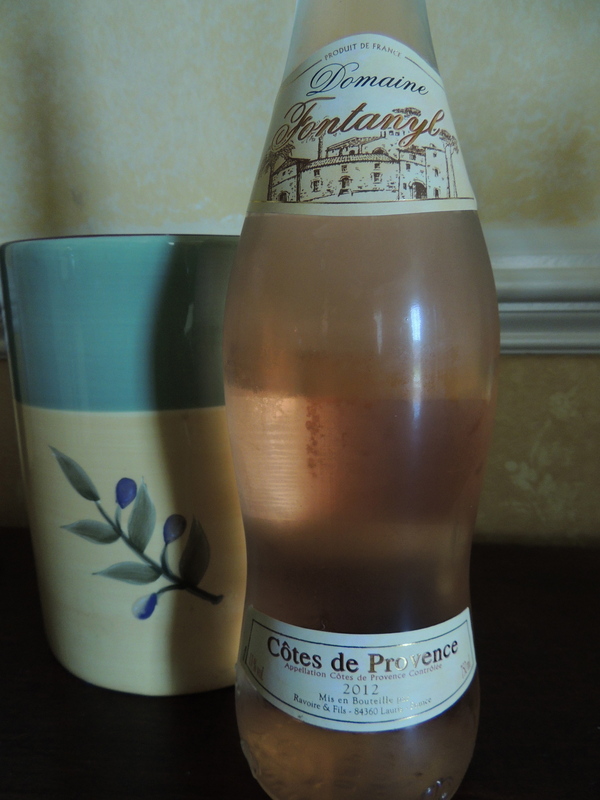 And the bulk of French Rosé comes from Provence. But you’ll also find some wunderbar Rosés from Spain, Italy, the USA and even South Africa. The grapes used to make Rosé are region specific. For example, in France, the grapes most commonly used are Grenache and Syrah. In Spain, Tempranillo or Garnacha. In Italy, Sangiovese. In Argentina, Malbec. 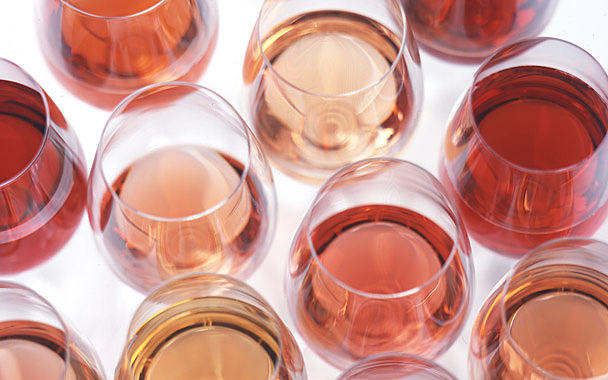 Rosé flavors are light-weight mirrors of their red wine counterparts. Just because it’s pink, doesn’t mean it’s Rosé. White Zinfandel is not Rosé. Rosé took a beating in world popularity in the 1980s . . . and its all Sutter Home’s fault. Sutter Home made an accidental batch of sweet pink wine (as a result of a stuck fermentation) and it sold like wildfire. And the legacy of the 80s White Zin craze was a widespread shunning of crisp, dry Rosés just because they were pink. Grrr, White Zinfandel. But fortunately, as people are breaking out of the pink = plonk mentality, Rosé is enjoying a new day in the sun. Yay, Rosé! Skin Contact, which is the traditional method of making Rosé. This method makes the most “serious” Rosés. The juice is left in contact with the grape skins for a short period of time (anywhere from several hours to a few days). This gives the wine color and a smidge of tannin. The longer you leave the skins in contact with the juice, the darker the color. Saignée, which means “bleeding” in French, is when the winemaker bleeds (siphons) off some of the pink juice that’s on its way to becoming red wine, and that juice is made into Rosé. Blending, is eponymous. It’s blending finished white wine and red wine together to create Rosé. It’s done quite frequently in the Champagne region of France. What to pair with Rosé? Julia is right, you know. The woman knows things. As far as BFFs for food goes, Rosé is right up there with Riesling and Bubbles. We tasted five Rosés from different parts of the world, and paired each of them with a food partner. The food titles link directly to recipes. Bon Appetit! Wait. What? 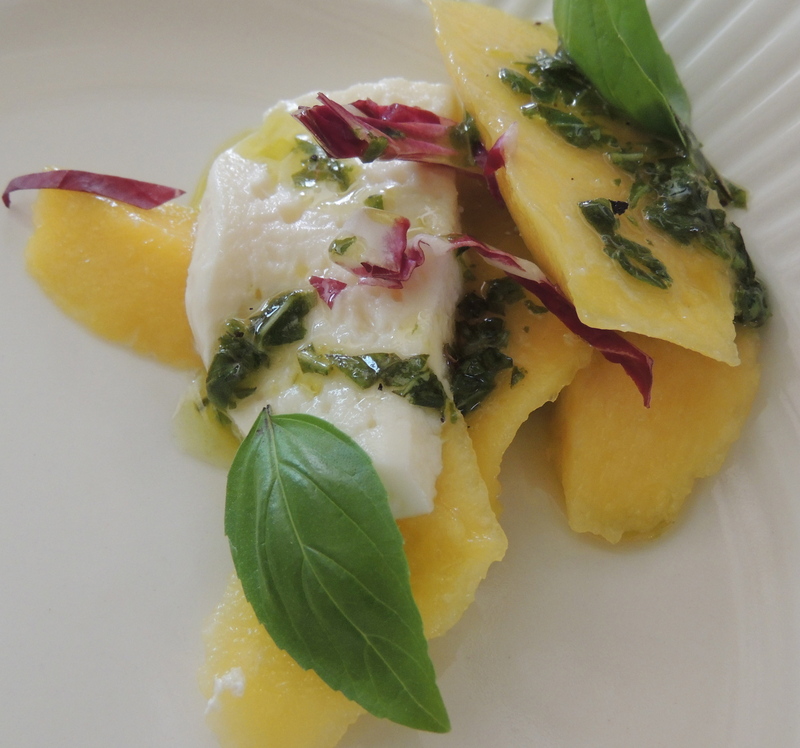 Mango and fresh mozzarella?? Wow. This is a knockout salad . . . so light and fresh tasting. The white balsamic vinaigrette is a home run. The radicchio adds just enough zing to balance the creaminess of the cheese. You’ll want to bring this to every summer pot luck between now and Labor Day. Wine Notes: From sommelier turned winemaker, Andre Mack, this Rosé is a blend of 85% Chardonnay and 15% Pinot Noir. Hmmm . . . so I’m thinking this is made by the blending method. Mouton Noir is out of the Willamette Valley in Oregon. Retail is $20. It’s a pale, pale salmon color. Crisp and tart, with flavors of sour cherry and kiwi that isn’t ripe yet. Pairing Notes: Whoo! The salad increases the acidity in the wine by about a 100%. It doesn’t render the wine undrinkable, but you definitely make the pucker-face when you have a sip after a bite of salad. Think toddler eating a lemon wedge. OK . . . so this really isn’t grilled avocado, it’s broiled avocado. This is a British recipe, and apparently, in the UK, grilling = broiling. And holy-coulda-been-guacamole this is GOOD!! I would not have imagined a hot avocado with cheese and Chipotle-Tabasco would taste so amazing, but it does. Go forth and broil! 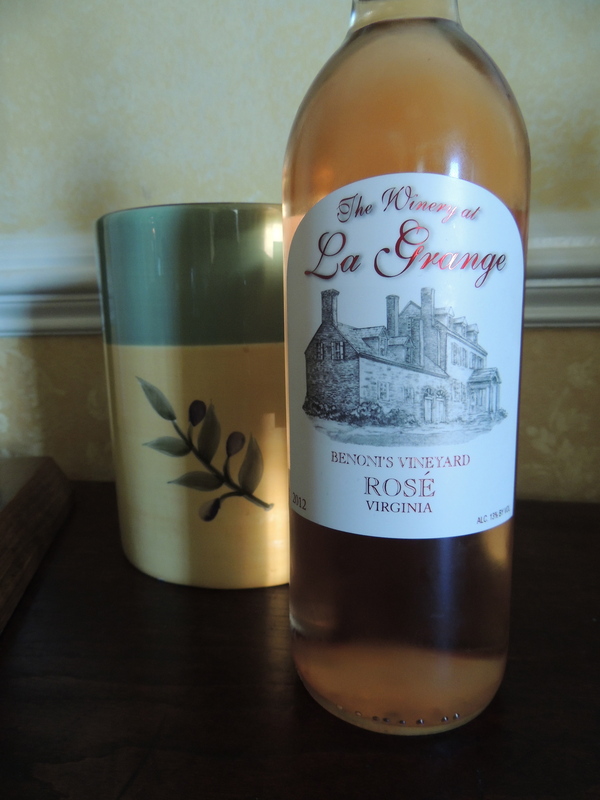 Wine Notes: A Rosé from The Winery at La Grange in Virginia (just down the road from my house). Retail is $25, which is a little steep for Rosé in my book. Slightly off-dry, with tart strawberry and rhubarb notes. Creamy finish. Pairing Notes: The slight sweetness of the Rosé was a good contrast for the Chipotle-Tabasco sauce. And it’s hearty enough to stand up to the creamy avocado and the sharp, savory tones of the Parmesan. Winner. My Rosé Review got me thinking about the foods of Provence. With so much French Rosé coming from Provence, Provençal food is probably a perfect match for Rosé, right?. That’s my theory, and I’m sticking to it. 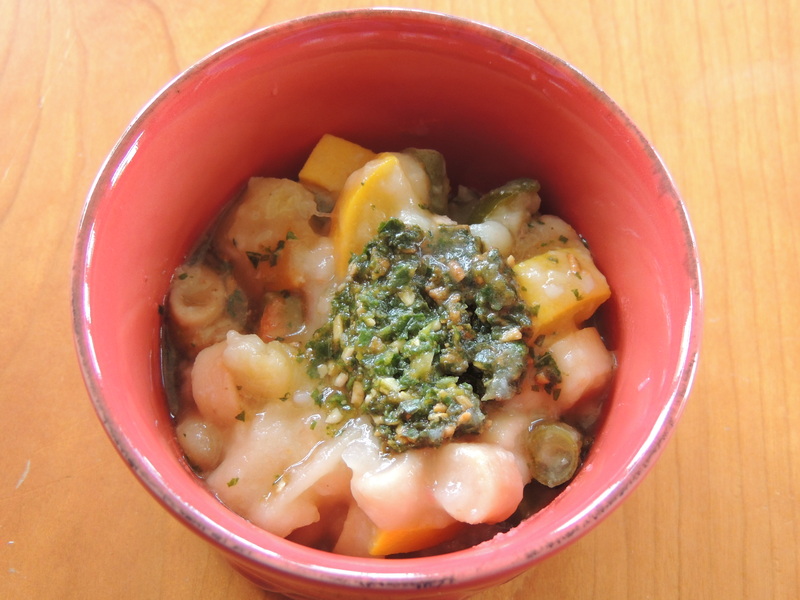 This is a classic Provençal soup — a French take on Minestrone. It’s hearty and light at the same time. It’s a simple, easy recipe . . . but don’t confuse simple and easy with quick. It takes a while to get all the veggies chopped. I made a goof and used diced pancetta instead of a large chunk of pancetta. I didn’t realize the pancetta is for infusion purposes only. And I wasn’t about to fish 147 tiny chunks of pancetta out of the soup base, so it stayed in. It all turned out OK, though — pancetta makes everything better. Remember, Soupe au Pistou without Pistou is just Soupe. Don’t sleep on the Pistou!! Wine Notes: Another extremely pale Rosé . . . so pale it may sparkle in the sun. Retail is $15. Standard Rosé flavors of cherry and strawberry. Über-light and quenching. Bonus: the bottle is pretty, and you can use it to make wine bottle tiki torches. Oh, YUM! Don’t let the kale scare you off. Kale is a very approachable vegetable. 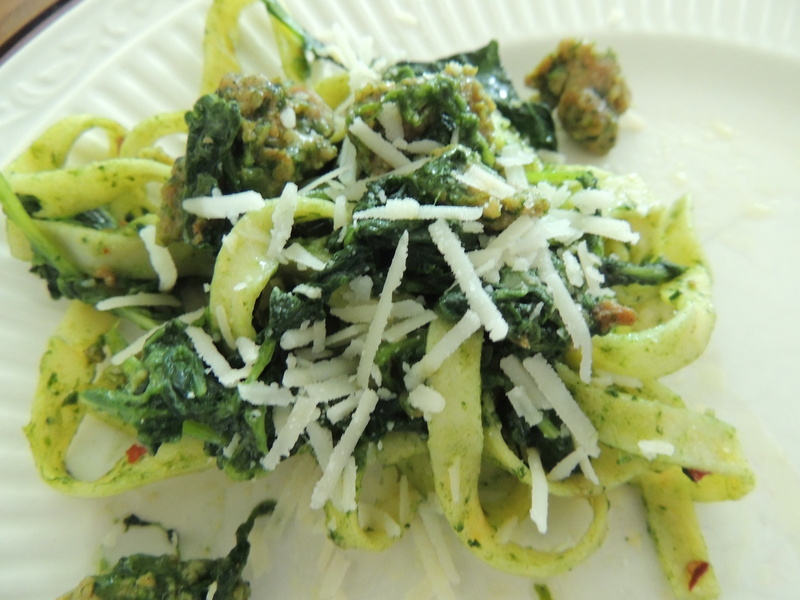 And it really plays nicely with the hot Italian sausage in this dish. That said, there’s no way I could get my family to eat this — the ratio of green to beige is waaay too high. But I will definitely make it again . . . for me. Wine Notes: 80% Syrah and 20% Grenache. Retail is $16. Get a load of the gorgeous fuchsia color. Reminds me of a couple of bridesmaid dresses I wore in the early 90s. Beautiful notes of raspberry and pomegranate. There’s a perfumey quality to it, as well . . . lavender, maybe? 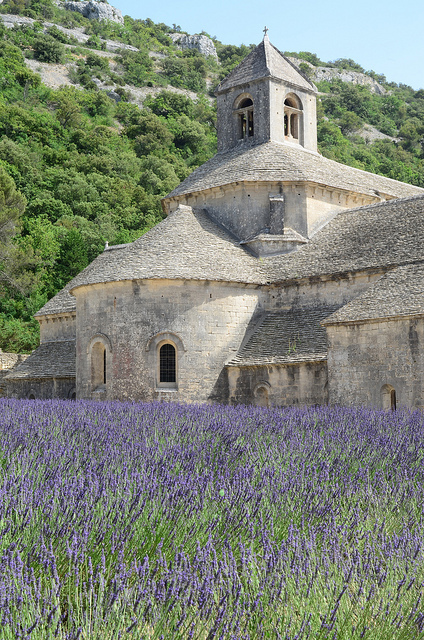 My head is probably just stuck in Provence. Pairing Notes: I saw kale and my brain immediately went to Sauvignon Blanc. 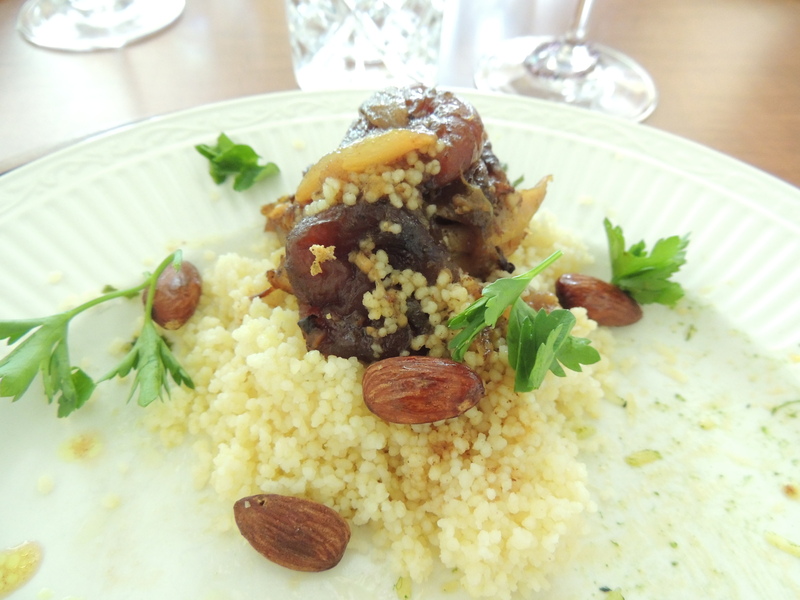 But after tasting this dish with Rosé, I think it’s just the right partner. The assertiveness of the Syrah and Grenache really compliment the sausage and work well with the kale, too. THIS is amazing! So many flavors working together at once. My girlfriend used Turkish apricots she picked up at Whole Foods. I’m not sure what it is about Turkish apricots that make them so much better than regular apricots, but they are. The almonds lend a surprise crunch and texture to the dish. The only downside for me is the parsley-cilantro (kryptonite) infusion. My girlfriend thought she could sneak the cilantro in on me if it was just cilantro essence . . . but the nose knows. Ooof. But I worked past it . . . the dish is that good. 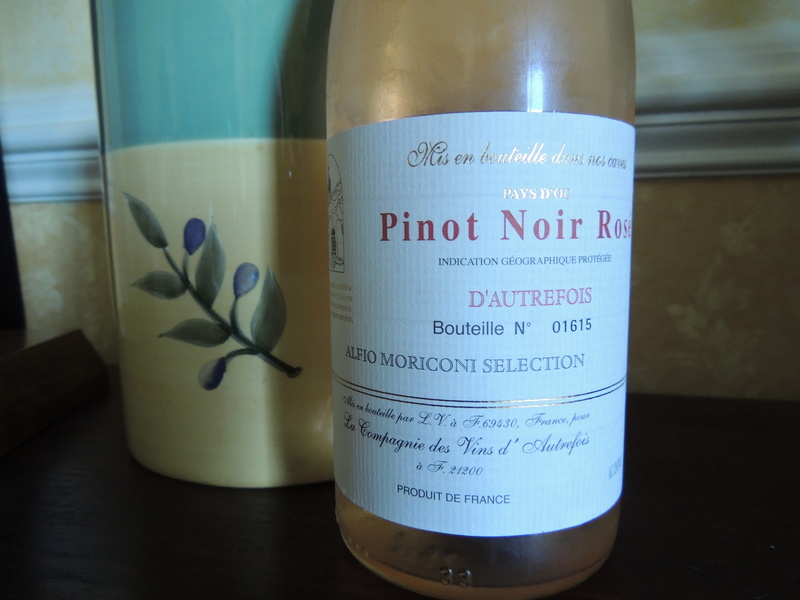 Wine Notes: A dry Rosé from the Vins de Pays d’Oc / Languedoc-Roussillon area of France (think of it as Provence’s neighbor), made from Pinot Noir. Retail is $12. I get wild strawberries and grapefruit. Uncomplicated and refreshing . . . kind of like Saturday. Pairing Notes: Lovely with the Moroccan chicken dish. The wine highlights the spice notes in the chicken, and doesn’t clash with the apricots. It works all the way around. How many times have you over-indulged, but still want something sweet at the end of your meal? For dessert, I made a super-light, but decadent vanilla cream recipe I found over at Flora’s Table. Add some fresh berries, and it was perfection! 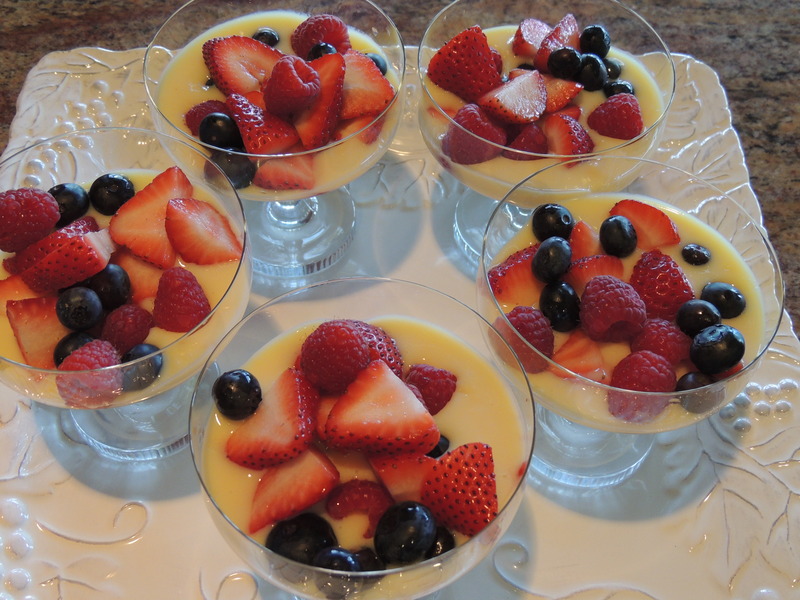 I served it in my mom’s vintage Rosenthal Champagne coupes (perfect for dessert, not so perfect for Champagne). What a hit — everyone cleaned their coupe! 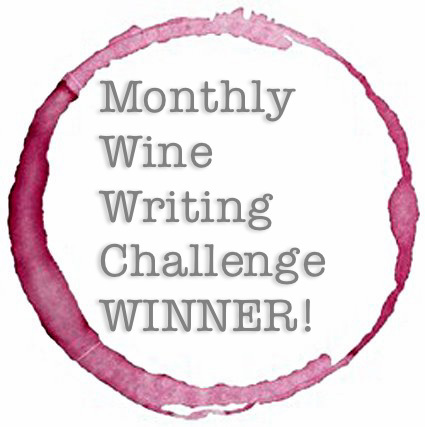 So who won the War of the Rosés? I hate to pick a winner, because that implies there were losers, and none of the wines fall into the loser category. They were all crisp and refreshing. My favorite Rosé of the day? 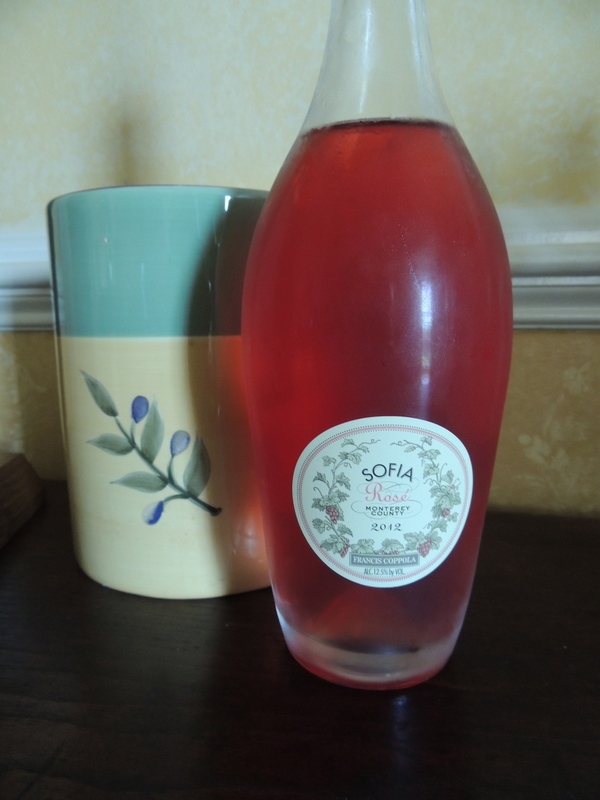 The Sofia Rosé . . . because it made me think about fuchsia bridesmaids dresses with linebacker shoulder pads. And a glass of memories is tough to beat . . . Previous Post: Gather your loved ones, I made something crafty . . . I love Rose’ especially in the summer. Julia is so right it goes with anything and I thought this post was so informative. I have a friend who drinks that pink zin and calls it rose’. Thanks, Suzanne! Not much beats a glass of Rosé in the summer! You’ll have to set your friend on the right Rosé path . . . ;o)) Salud! 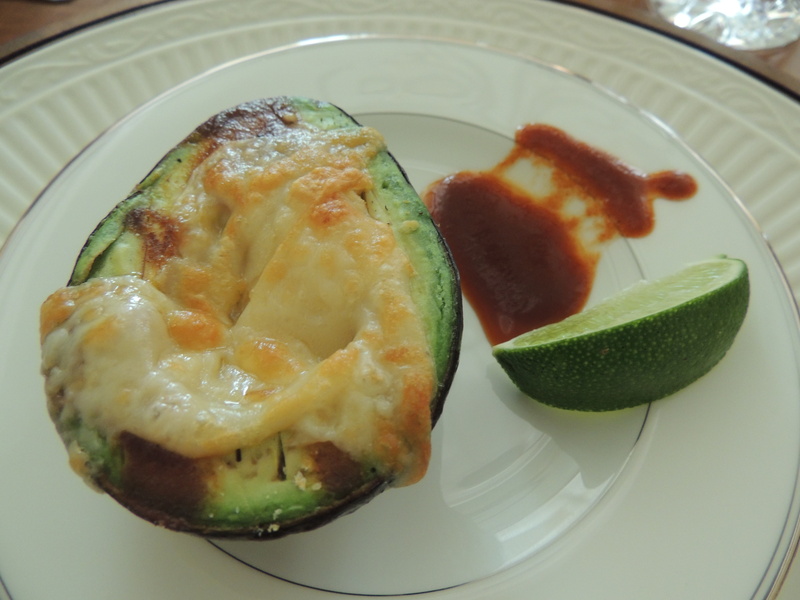 I’m very intrigues by the “Grilled” avocado – so it is just slicing avocado in half, taking the pit out, covering with cheese and putting under the broiler until cheese melts – would that be the whole recipe, or am I missing something? Yes . . . that’s exactly right! It’s super easy and so delicious. But I think the Chipotle-Tabasco and lime add important layers of flavor. You can prick the avocado and drizzle the sauce on before adding the cheese. But I’d go easy until you get a sense for how much heat there is. It’s über-yummy with the Rosé. Let me know if you try it! Salud! Ok. First of all: I need to get myself invited to one of your dinners. This sounds (and looks!!!) just fabulous!! I loved the pairings, too. Seemed to make total sense. I will have to do that avocado thing for sure…that sounds way too easy not to try it out!! Thanks for sharing. Great job, as always! Anytime you’re in Virginia . . . let me know! 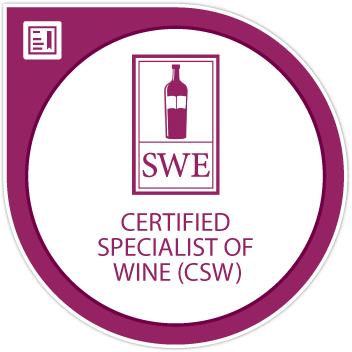 You can be a guest at Carpe Vinum! Do try the avocado and let me know what you think. Salud!! Watch out, I might actually take you up on this! 🙂 Will let you know when I tried it. I adoooore rose. I didn’t know you can have “pink wine” that it’s not rose. I’m with Anatoli. The grilled avocado sounds and looks wonderful. Thank you so much for the kind mention. Thanks Francesca . . . the vanilla cream looked so gorgeous in the coupes. I never use them for Champagne . . . so glad I found your yummy recipe so the coupes get some use! Do try the avocado . . . anxious to hear what you think. Salud!! What a wonderful dinner and nice pairings, a great way to welcome the warm weather! Just a note regarding Italy: actually, there’s many more varieties that are used in making roses than just Sangiovese. Probably the prevailing variety is Pinot Noir, especially in the context of classic method sparkling roses (I still have memories of that to die for Ca’ del Bosco, Annamaria Clementi I had at the Gambero Rosso event!) but then you have still roses made from pretty much everything, from Nebbiolo to Lambrusco to Montepulciano… You would have a lot to experiment over there! Thanks for your Italian note, Stefano! Very interesting that Pinot Noir prevails. Perhaps we should do a study of just Italian Rosés . . . that could be fun!! Especially with Italian food pairings!! Salud!! That vanilla cream looks divine – I’ve never been a big rose person mostly because I completely associate it with white zin (which I know is wrong). It’s so deeply engrained! Can’t wait to try a nice dry delicious rose this summer. Thanks for the suggestions! The vanilla cream is BOSS (that’s what my teenager says)! I hope you get the chance to indulge in some dry Rosés this summer . . . so refreshing! Salud!! Great pairings! I agree with Oliver–I need to get an invite to one of your parties! While I do not like white zin, it did bring a lot of cash into the California wine industry. Where would CA wine be today without it? 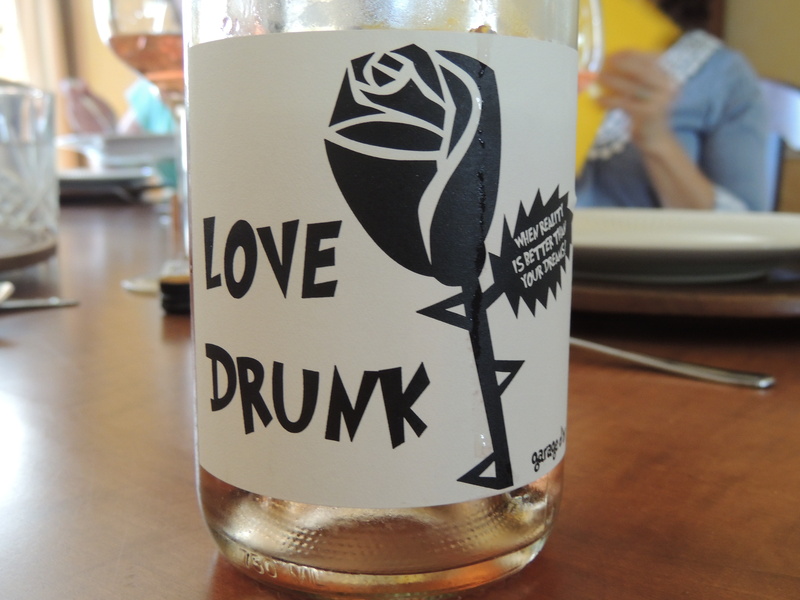 Planning on doing a rosé post of my own soon–not sure I can come close to this one!